Dokpe L. Ogunsanya formal education and professional careers are in the areas of Public Administration (M.P.A. ), Computer Science and Mass Communications. Cooking and Business is however her passion. 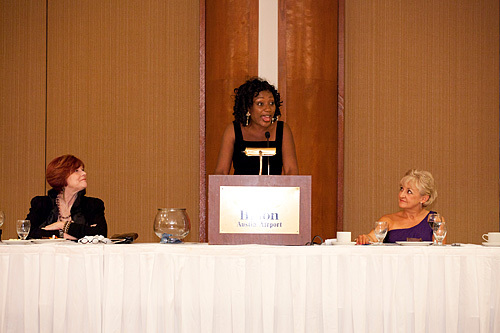 Ms. Ogunsanya has performed book signings at fine bookstores such as Barnes and Nobles, Book People, Borders, etc. She was featured in the Austin American Statesman. She has also appeared on local television stations. She does speaking engagements and workshops. “I sincerely hope that “MY COOKING” becomes a favorite in your homes as you serve and enjoy the food prepared from the recipes in the book! A writer of a cookbook makes u a speaker about food.